Find your way to the Legendary BABC-Georgia Pub Night at Ri Ra in Midtown, Atlanta from 5:30 - 8:00 PM. 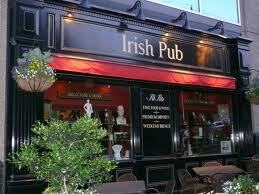 The service is top notch and you will always enjoy being treated like royalty in this old world Irish pub. Bring a guest and expand your business networks while having a little fun.